Sometimes I think that all we do is worry. We stress out over work, politics, plans for the weekend, clothes . . . almost everything! The goal of technology is to make our lives simpler, easier, and less stressful -- in a word, user-friendly. Today we are going to focus on five startups that do just that. Unlike our usual array of mobile app startups, these guys have all built amazing hardware products in addition to applications which work on your Android or iOS device. We’ll take a look at what makes them innovative, unique, and hopefully 100x profitable. At first glance, Sproutling doesn’t look like much. The device is a small, washable band of medical-grade silicon that slips easily around an infant’s leg, with a heart-shaped sensor which records indicators like skin temperature, heart rate, motion, and position. The modesty of the device belies the incredible number of insights (not just raw data) the Sproutling monitor can deliver to new parents via a smartphone app that works with Android and iOS devices. Sure, the device performs the basic “is my child alive” functions of a typical baby monitor, but what makes Sproutling a godsend to new parents is the fact that it can make predictions (based on heart-rate and motion) about when a baby is going to wake up from a nap. That means parents can actually make plans around their baby’s sleep schedule. The device can even suggest what mood the baby is in based on the same indicators; this means parents have a chance to prepare themselves before confronting a tired, fussy baby. There is a lot more to recommend Sproutling than its ability to predict when a nap will end, as if that weren’t enough. The device can also measure the level of noise near a sleeping child, so you can have friends over without constantly worrying you’re being too loud -- just check the Sproutling app. So what’s the technology behind all of this? Founder Chris Bruces makes it sound simple: Bluetooth low energy, several sensors, and proprietary machine learning algorithms that allow the device to make predictions. Given how awesome Sproutling is, it’s no surprise that the device is currently sold out. Once it’s available again you can pick it up for a mere $299. This 4x4x4 black cube is actually the ultimate device for pet-lovers to engage with and monitor their four-legged friends when they’re away from home. Petcube’s features include a wide-angle camera you can watch and manipulate through your smartphone, a two-way audio stream that’s perfect for telling your dog to get off the couch, and a built-in laser toy you can use to entertain your pet; just trace your finger across your smartphone’s screen to guide the laser along the floor. Did I mention that all of these features are accessible through Petcube’s iOS and Android app? The app, by the way, is also a terrific venue for sharing cute pictures of your dog, cat, or whatever else you have with similarly pet-centric humans. 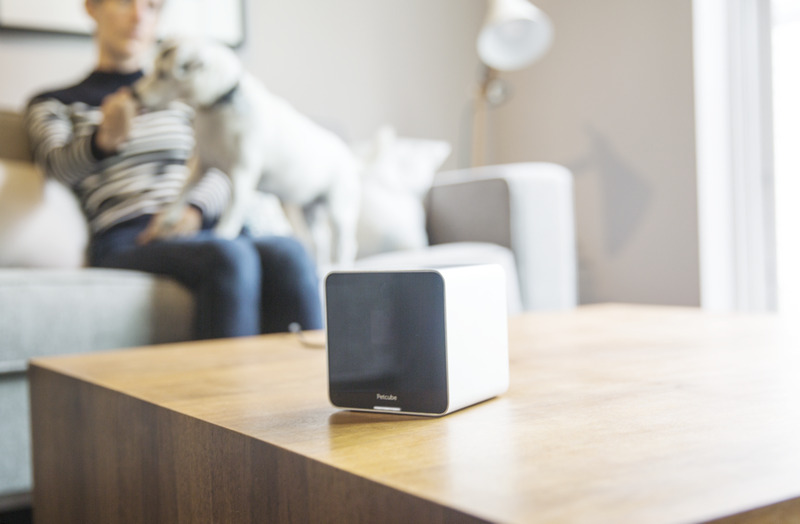 Like so many hardware startups, Petcube’s founders got a huge boost for their project from the crowd-sourcing platform Kickstarter, through which they raised a quarter of a million dollars. Since then, Petcube has picked up $1.1 million in funding from a diverse set of investors, including Almaz Capital and AVentures Capital. Petcube retails for $200. Better buy now, though, before supplies run out. Sure, Edyn’s slogan is a far cry from “Welcome to the Jungle,” but considering the company is disrupting the way we think about the home garden it’s hard to hold that against them. Edyn offers a smart-garden system that tracks and monitors environmental conditions in your garden, helping to make your plants thrive. The monitoring device, which is powered by solar panels, can keep track of indicators like soil nutrition, humidity, temperature, and the type of sunlight a given patch of soil gets throughout the day. These indicators, combined with data culled from meteorological and soil research databases, are used to deliver actionable insights to users via Edyn’s Android and iOS mobile app. 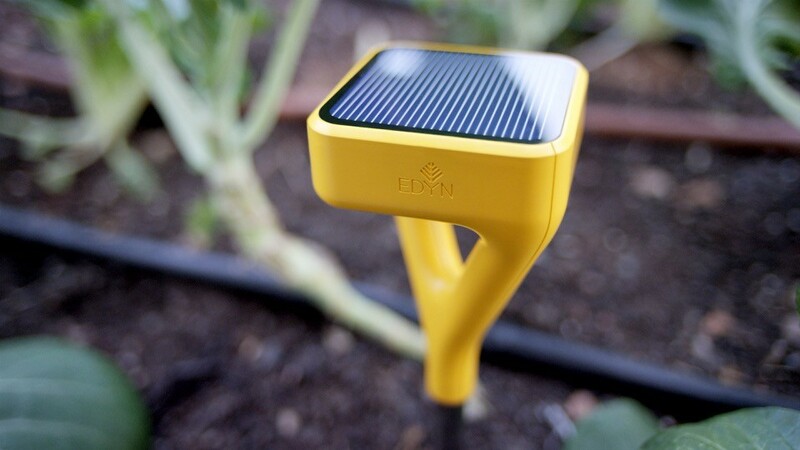 These insights can be as specific and technical as graphical representations of raw data, or as novice-friendly as “time to plant your tomatoes.” This makes the Edyn system perfect for experienced gardeners and the greenest of green-thumbs alike. Edyn’s founder, Jason Aramburu, raised over $380,000 for his startup on-you guessed it-Kickstarter before cinching an additional $850,000 from a group of investors in 2014. The monitoring device is slated to go on sale this spring. You can pick one up for $99 bucks on their website, or at a Home Depot store near you. NOTE: if you’re thinking about building your own home-monitoring device, look at partnering with a home supplies megastore for wider distribution. 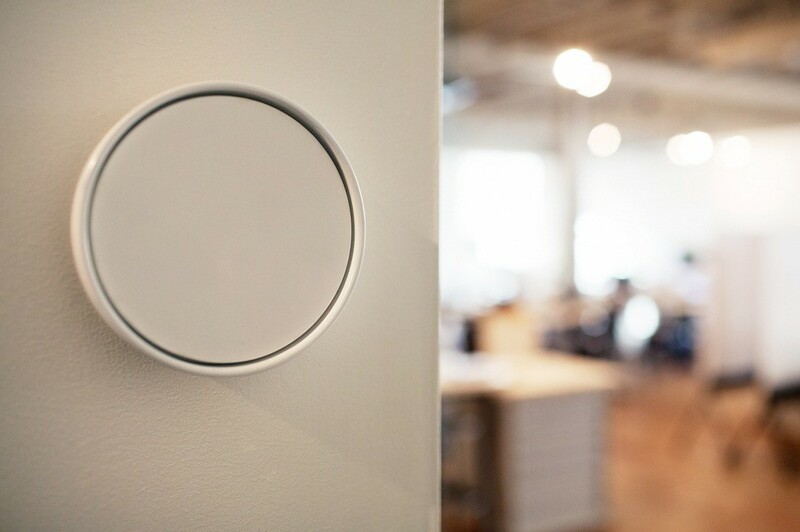 Birdi is an elegant white disc that monitors air quality in your home, and keeps track of things like soot, dust, carbon monoxide, and, of course, smoke. Data collected from the unobtrusive monitor is sent to users’ smartphones as user-friendly, actionable alerts; if there’s too much dust or carbon dioxide in the living room, for example, you’ll get a message suggesting that you open a window. In the event that Birdi detects smoke or worrisome levels of carbon monoxide, the device can send notifications to friends and neighbors, as well as emergency personnel. For those users who are less smartphone savvy Birdi offers voice calls over landlines that deliver details about alerts. All of that’s great. After all, it’s exactly what you want to see in a smoke-detector on steroids. What makes Birdi worth the $119 it sells for, though, are the little conveniences it delivers to users, like letting them deactivate alarms through the app (no more balancing on chairs to reach a blaring detector) and alerting them in advance when batteries are running low. Birdi’s San-Francisco-based founders, Mark Belinksy and Justin Alvey, just received a $500,000 investment from PHC Capital at a $10,000,000 valuation. We all wish we could know exactly what was going on at home while we’re at work or on vacation. Notion’s small, multi-purpose sensors allow us to do exactly that. When you read a list of what these little white discs can do, they seem almost magical. They can tell you if a door has been opened or closed, if there’s an unusual amount of water under your kitchen sink, or if you need to refill your propane tank. That’s not all. They can also detect smoke, carbon monoxide, and whether you’ve accidentally left a light on in your living room. Alerts are sent to a user’s smartphone when an action triggers a sensor. This means you’ll get a message if someone opens the front door, or dips into the liquor cabinet (I’m starting to think these sensors are perfect for parents of teenagers). 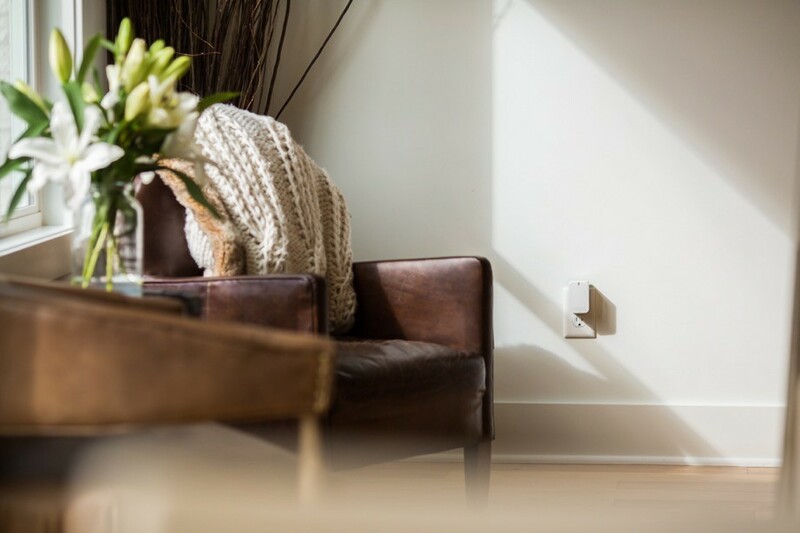 Notion sensors are connected through a device called a “bridge” to your home’s Wi-Fi network, and encrypted to ensure your data stays safe. Founders Brett Jurgens and Ryan Margoles have already raise a half million in funding as of 2014, and I doubt they’ll have to worry too much about paying it back once the devices ship in July of 2015. One of these sensors, with a bridge, will cost $130. If that sounds a little pricey, you can always up the bang for your buck by buying in bulk -- a ten pack will run you $419. If you’re thinking of building home-monitoring devices which connect to mobile applications, give us a call. We can help you figure out the best way to bring “The Internet of Things” to your users’ smartphones.